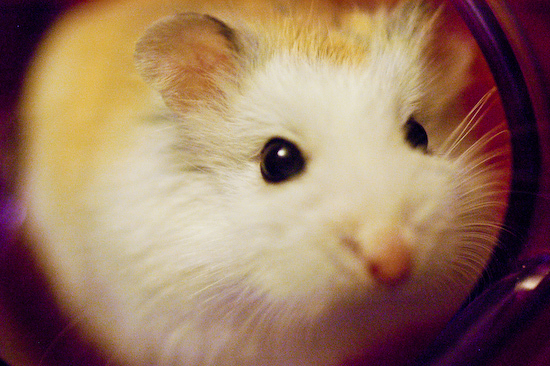 Tina and I used to own Roborovski Hamsters. These little guys are only about 1-1/2 inches long, are incredibly cute, and if ever let loose run at just below the speed of sound. I love Robo's. They are so energetic!